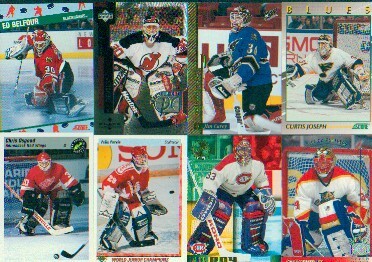 BRODEUR - 12 various regular cards, various years. HASEK 95-96 One-on-One #12 $?? HASEK 97-98 Post Pinnacle #16 $ ??? THIBAULT - Regular and RC - about 35 cards.